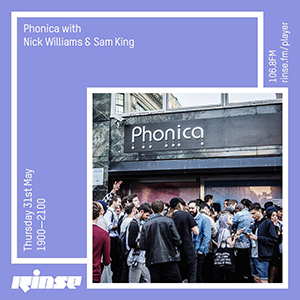 Phonica’s Alex Egan & Simon Rigg took over the Rinse FM airwaves for the debut 2 hour show. Stream and tracklist right here. In case you missed it last Friday, you can now listen back to the first Phonica show on Rinse FM! 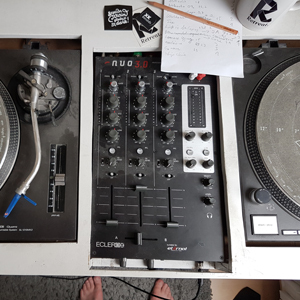 Phonica’s founder Simon Rigg and label manager Alex Egan stepped up for the live 2 hour slot with a selection of recent dancefloor favourites, all vinyl plucked from the shop’s racks, with Alex mixing the first 70mins before Simon took over til the end. Hit play to check out the whole show. 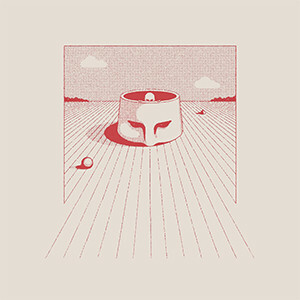 A full tracklist with links to all records played is included below too!